Grant lives in a stylish modern brick bungalow with his young family, designed and constructed by his father Dai Hughes, a builder from the Brecon area. 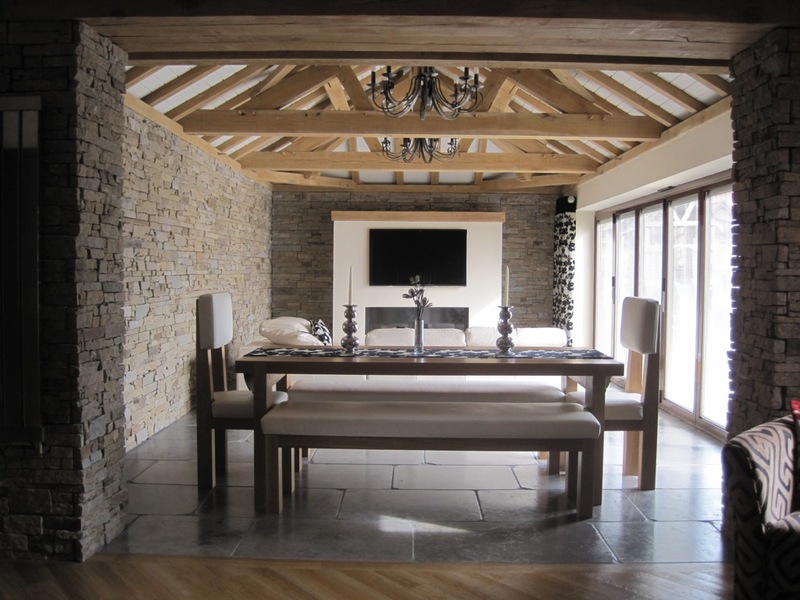 While planning an extension to comprise of a sunroom with glazed bifolding doors, Grant was keen to research the possibility of incorporating a feature oak roof structure. With this in mind Grant and Dai visited Castle Ring Oak Frame where they were impressed with the vaulted ceilings on show in our home. Various design options were discussed, with Grant eventually coming down in favour of 3 feature trusses with a hipped roof and dragon ties. Common rafters with painted softwood sarking and external insulation would maximise the feeling of space and expose the dramatic roof structure from below. A careful site survey was necessary to tie the new frame to the existing order ambien online house, and the oak frame had to be designed to partially sit on a steel girder over the bifolding doors whilst allowing sufficient headroom. These problems were soon overcome and work could begin on the frame allowing Dai to do his bit and prepare the blockwork. The frame was mocked up in the workshop to ensure no nasty surprises on site and within 3 weeks was ready for transportation into the Welsh hills. The frame went up like a dream with the help of Grant’s brother operating the telehandler, and I think we even managed to impress Dai! He just couldn’t believe how quickly and accurately it all went together. Dai continued with the build and took it to completion. Take a look at the results.